Ocean Pacific Capital has been closing Commercial Loans since 1977. We are a member in good standing with the International Council of Shopping Centers (ICSC). We fund all commercial and construction loans from $500,000.00 to $1,300,000,000.00 worldwide. With direct access to the most aggressive investor sources in the world, we can structure a customized financing solution for you, with the best terms possible. Our worldwide commercial loan department offers a variety of commercial options for purchase, refinance, construction, short and long-term financing. We fund all commercial and construction loans from $500,000 to $1,300,000,000. 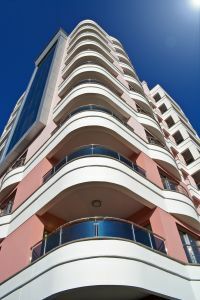 Ocean Pacific Capital specializes in student housing building loans, apartment loans, shopping center loans, office building loans, mixed use loans, industrial and medical office loans, warehouse loans, mini storage loans, strip center loans, hotel loans, golf course loans, subdivision loans, and lot loans. We arrange joint ventures, equity participations, bridge loans, construction loans, acquisition loans, and permanent financing for both owner-occupied and non-owner occupied properties. If you are looking for a commercial conduit loan, mezzanine loan, or construction financing, whether you are in the United States, or in any other country, with good or bad credit, we can help you find a loan program that meets your unique and individual needs. Even if you've been turned down elsewhere, rest assured we will have the options you need and a record of service you can trust. For more information, and our recent closings, please visit our recent closings page. Wall Street firms often act as a "conduit" by which pooled loans can be sold to investors as mortgage backed securities. Conduit loans are a permanent, fixed-rate commercial real estate loan structured on a non-recourse basis according to specific conduit loan underwriting and conduit loan documentation standards. We offer conduit financing with debt coverage ratios from 1:05 and up. Conduit financing is available on all types of commercial real estate property loans, such as apartment loans, industrial building loans, hotel loans, condominium loans, self-storage loans, restaurant loans, commercial center loans, strip center loans, subdivision loans, office building loans, mixed-use center loans, senior housing loans, golf course loans, A & D development loans, and lot loans. If you need Commercial Monies, Equity Partners and /or Secondary / Mezzanine Financing, call our Commercial Loan Department at 1-800-595-1474 or simply apply for a free analysis now. We have the experience to get the job done!